The Dual Element Controller from Blichmann Engineering™ is like nothing on the market. This high-quality temperature control module powers two heating elements simultaneously to handle the power needs of large kettles. 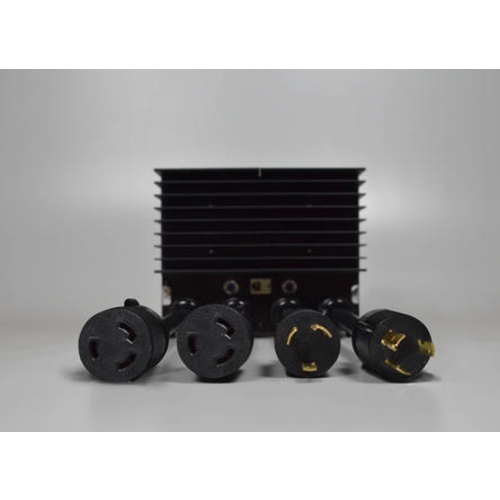 Each of the dual outputs can handle 30A at 240V for a combined capacity of 14,400 Watts! It also bears the Blichmann Engineering™ hallmark of simplicity. This controller works in concert with the suite of equipment options to complete your Blichmann Engineering™ system or to act as a freestanding control powerhouse. For years homebrewers and professional brewers alike have relied on the Tower of Power™ and BoilCoil™ product lines because of its exceptional durabiliy and accurate control of their brew day. This unit has been designed and manufactured to bring the same dependability and precision to your brewhouse. Assembled in the USA from US and global components. 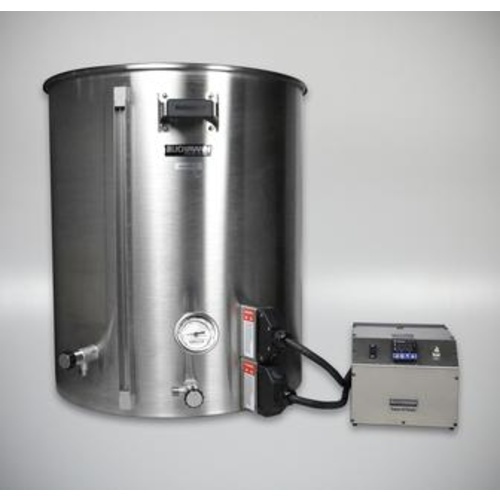 Purchase a single control unit for your dual element boil kettle, one for your dual element hot liquor tank, or both. 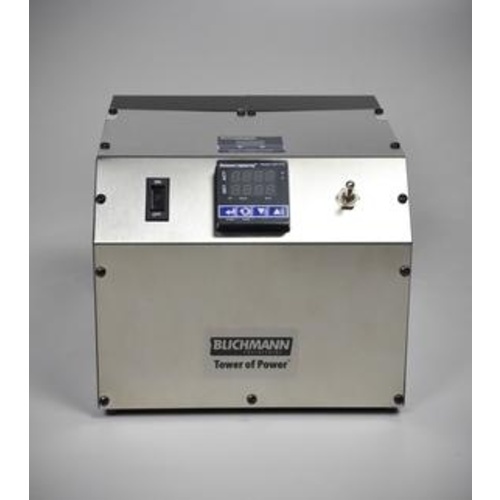 This unit is optimized to power up to 14,400 Watts of power of any two heating elements, including Blichmann Engineering's mighty BoilCoil elements. We aren't kidding when we say the Dual Element Controller offers superior precision and accuracy. 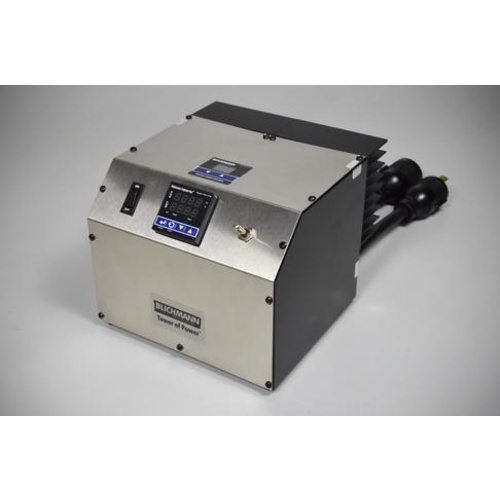 The control module will hold your brewing liquor within +/- 0.5°F (0.28°C). With this level of precision, repeatability with your beer will become the norm in your brewery. For accuracy and precision, you need both a high-quality sensor and a high-quality meter that can read it. The Dual Element Controller uses a single Class A precision RTD and a high-quality metering circuit found in PIDs and PLCs. Only the TOWER of POWER™ delivers that level of accuracy - so accurate and precise you can use it to calibrate your other instruments. With the Dual Element Control module, ramp times are fast and automatic, with outstanding control and easy maintenance of +/-0.5°F (0.28°C) stability. Free TOP-Link software and optional communication cable can be purchased to easily program an unlimited number of mash profiles and even monitor and log data on your PC. This level of automation brings reproducible results every time, taking your brewery to the same level as a professional brewery. Specifically designed to work seamlessly with our 55 Gallon BoilerMaker™ Kettles with two BoilCoils™ installed. Blichmann Tower of Power - Ignition Cable 72 in.